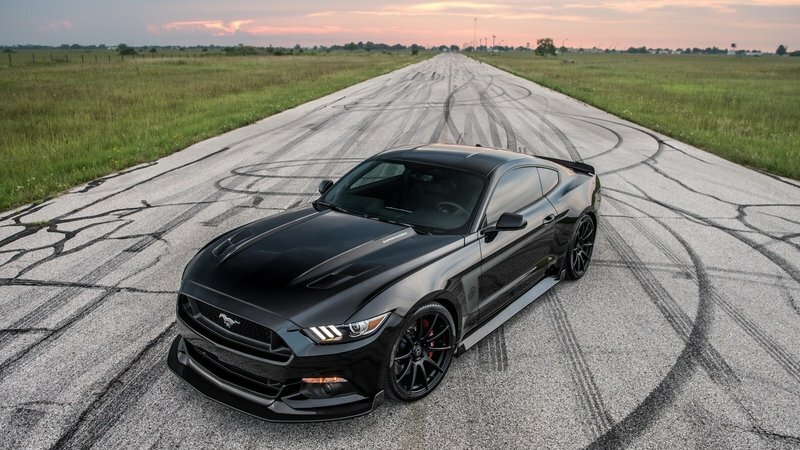 Roush Performance is no stranger to developing tuning programs for the Ford Mustang. In fact, it’s built a good legacy from it, thanks in part to beauties like the RS3 and Trak Pak kits. This time though, Roush Performance is shaking things up with the P-51, a 727-horsepower behemoth the noted Ford tuner is claiming as the most powerful “re-titled” Mustang creation ever. It’s hard to disagree with those claims, especially with the added disclaimer of being pre-titled as opposed to most post-titled programs where the output of the P-51 has been exceeded on so many occasions, including some of Roush Performance’s past tuning projects. But the P-51 is coming off the Roush production lot as a brand new Mustang that’s already been fitted with the kit, power upgrades and all. On top of that, it also features extensive aero upgrades on the exterior, a dressed-up interior, and the whole cache of being inspired by the iconic P-51 Mustang fighter planes that played big roles during the second World War. 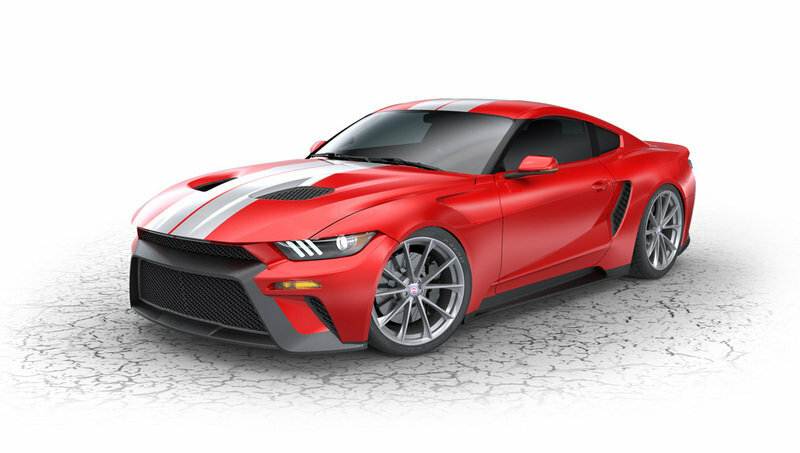 It’s taken a while for Roush Performance to present the full-blown P-51 Mustang after first releasing a sneak peek at the 2106 SEMA Auto Show in Las Vegas last year. Turns out, the tuner was onto something with this creation and now that it’s out, we can at least say that it was worth the wait. There are no fancy colors or flashy wraps in the program and Roush made up for it with a nice list of aerodynamic bits and pieces. On the cosmetic side, the Mustang’s visual updates are largely made up of a custom P-51 Tribute anti-glare hood painting and hand-painted P-51 badging featuring P-51 Mustang silhouette that serves as a tribute to the 357th Fighter Group. There are no fancy colors or flashy wraps in the program, though, and while that can be perceived as a lack of aesthetic enhancements, Roush made up for it with a nice list of aerodynamic bits and pieces. The most prominent of these components can be found upfront where changes to the car’s front bumper and the addition of a rather aggressive carbon fiber front spoiler with its own stanchions make the Mustang a little more imposing to look at. Performance driving lamps are also a welcome addition to the front section of the car, along with a new lower chin splitter. The new hood with the massive scoop also gets some well-deserved shine, as do the side rocker aero aids that dominate the side profile of the coupe and the carbon fiber rear decklid spoiler at the back. Rounding off the exterior upgrades for the Mustang GT is the new set of 19-inch Weld Racing wheels that Roush wrapped in Continental ExtremeContact Sport tires. The exterior upgrades on the P-51 Mustang are effective in their own way. The issue is that they don’t stand out relative to the offerings of other tuners. An argument can even be made that the Roush’s Trakpak kit for the muscle car comes with far more aggressive exterior upgrades. That not only came with a unique blue paint finish with red and white accents, it also featured an aggressive front splitter, extended side skirts, and a massive rear wing that seems to jut out well past our own expectations. At the very least, those looking to get more aesthetic personality out of their Mustangs are probably better off getting the Trakpak. Move to other tuner offerings and Hennessey’s limited edition 25th Anniversary HPE Mustang GT stands out for its exterior upgrades. The program itself is limited to just 25 units, but customers looking to get massive upgrades to the car’s exterior will be catered to by the Texas-based automaker. The anniversary kit, in particular, came with a front splitter, side sills, a rear lip spoiler, and plenty of exterior badges, including one that denotes the car’s 25th Anniversary status. Another noteworthy option is presented by Zero to 60 Designs. This tuner offers a program that not only provides aggressive visual enhancements for the ’Stang, but the inspiration drawn from the Ford GT is actually the centerpiece of the entire kit. 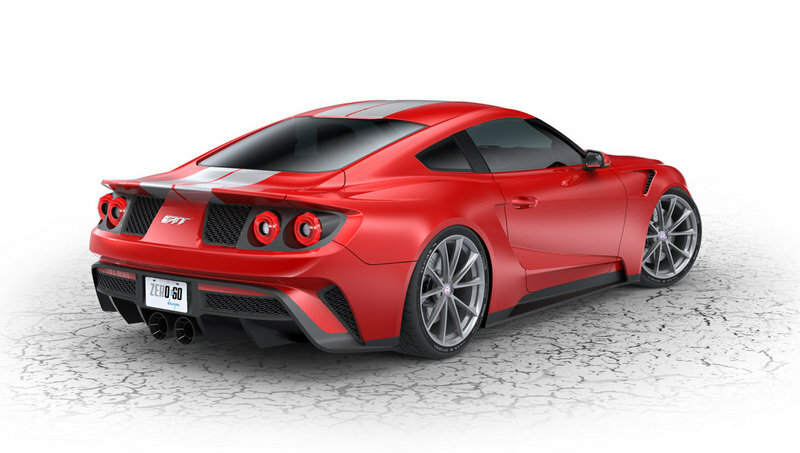 The whole front section was dramatically restyled to accommodate the sharp lines and curves of the GT while the rear section now boasts a massive diffuser and the GT’s unmistakable round taillights. Here’s a pleasant surprise for Ford Mustang owners. Roush Performance’s P-51 Mustang actually has a comprehensive interior design program that’s not limited to the new Billet Performance pedals, "P-51" embroidered floor mats, illuminated door sills, and our favorite, the red shifter ball. It has those upgrades, sure, but the real highlights of this particular section are the custom P-51 Amaretto Tuscany leather seats, the Warbird-inspired leather door inserts, a P-51 design instrument gauge cluster overlay, and a Roush P-51 serialized interior medallion that can be found on the dashboard. As an added bonus, Roush is also throwing in a history book on the 357th Fighter Group for good measure. 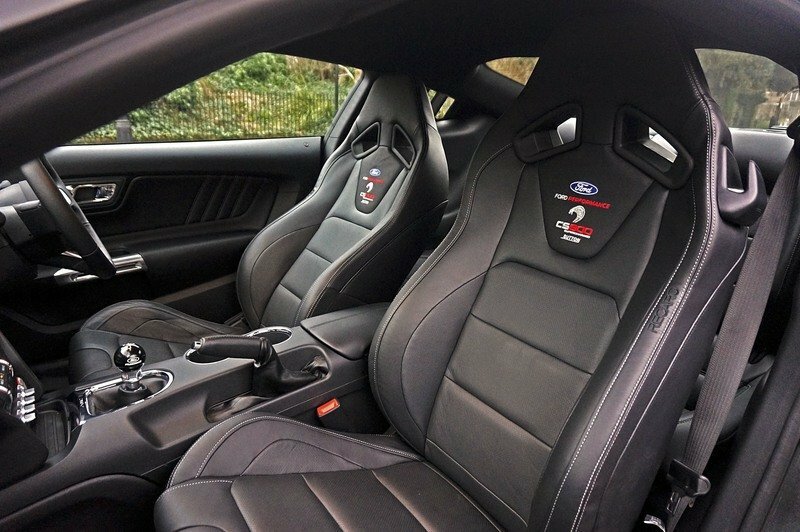 Truth be told, it’s not fair to say that the Mustang’s interior has been largely ignored in the tuning world. That’s not the case at all. The issue is that they come few and far in between. Fortunately, some companies do provide impressive upgrades on this section, one of which is actually a British dealership of exotic vehicles. 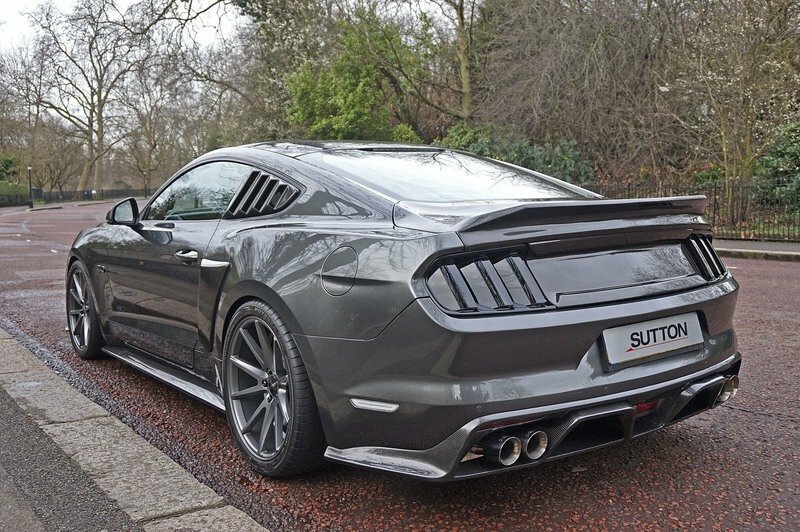 Suppose there’s somebody in the U.K. looking for a unique Ford Mustang, Sutton Bespoke is a good place to start. Not only does the dealership offer extensive upgrades to the exterior, its work on the car’s interior is just as comprehensive. There’s a carbon fiber dashboard, custom Recaro sports seats, and a short-throw shifter. More importantly, customers can also choose from a wide range of premium materials to dress up this section. 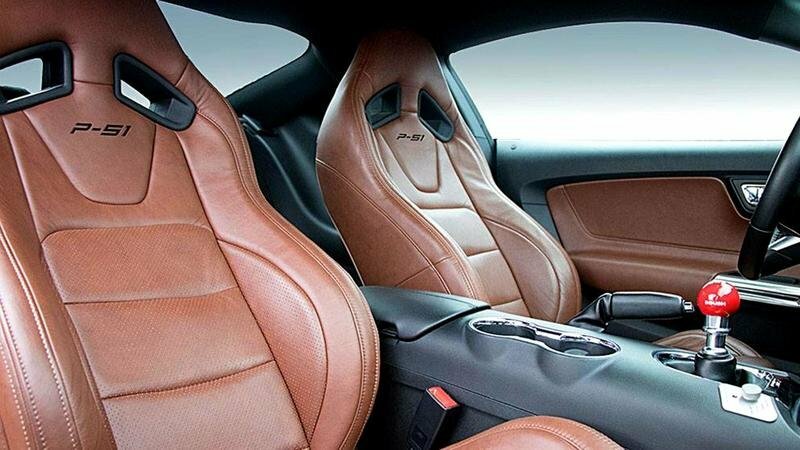 Whether its Alcantara, Nappa and English hides, wood veneers, or piano black lacquer, Sutton Bespoke can use any and all of these materials to dress up the interior of the pony car. 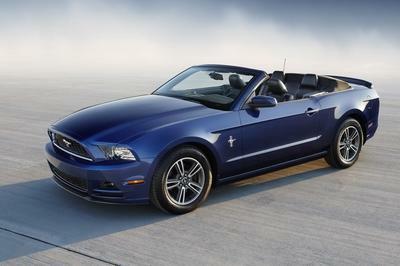 If customers are not settled on any of these offerings, there are other ways to get interior upgrades for the Mustang. Dedicated tuners are available to provide those needs provided that you take the time to seek them out. Usually, these tuners go to aftermarket shows like SEMA to show off their wares and over the past years, we’ve seen upgrades ranging from the subtle to the outlandish in the event. Zero to 60 Designs, for example, unveiled its Tribute Gran Turismo in that show and in past years, we’ve also seen creations from Galpin Auto Sports, 3DCarbon, and Vortech to name a few. At the heart of Roush’s P-51 Mustang is the engine upgrade – no surprises there. 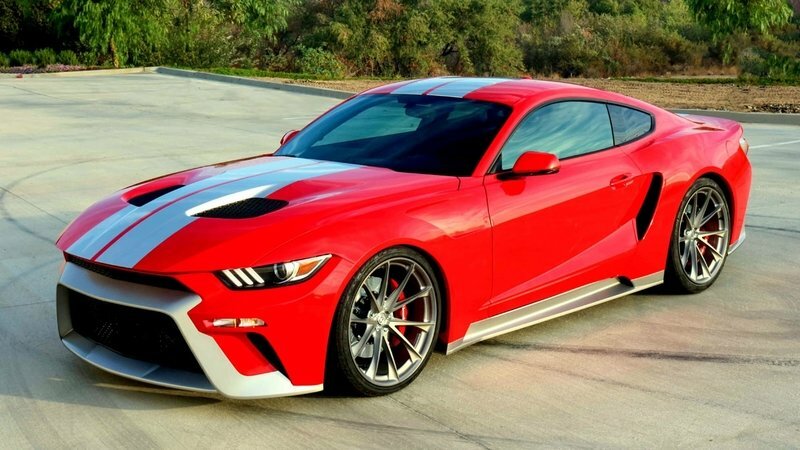 We already know that the tuner was able to squeeze out 727 horsepower and 610 pound-feet of torque out of the ‘Stang’s 5.0-liter Coyote V-8 engine. What we’re here to point out is how Roush was able to get to that number. Turns out, the main highlight of the upgrades is a Roush 2.3-liter Eaton TVS supercharger, which is presumably the same supercharger it used on the Trakpak program from 2015. The addition of the new supercharger system is complemented by a six-speed manual transmission, extreme-duty Trakpak half shafts, and an active exhaust system with black coated tips and laser-etched with a custom logo. The exhaust itself comes preloaded with a choice of there distinct exhaust sound profiles on top of a “custom” setting that owners can personalize through a mobile app. 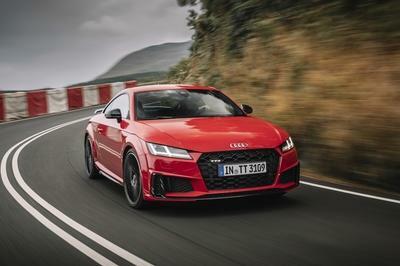 The tuner didn’t say how the massive spike in power affects performance times, but considering how it tops out comfortably past 700 horses, an acceleration time to 60 mph of just 3.7 seconds and a top speed in excess of 190 mph are certainly in the cards. Should those numbers be within reach, Roush’s claim that the P-51 Mustang is the fastest and most powerful pre-titled Mustang ever has some legs to stand on. If customers aren’t particularly attached to when a Mustang kit is added, the options open up on the kind of upgrades that are available. 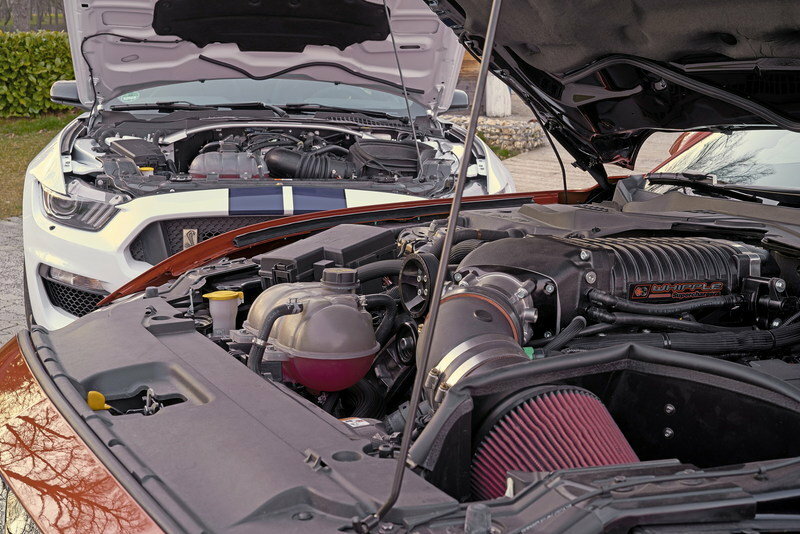 Roush Performance itself offers a three-stage tuning program that makes use of the same 2.3-liter supercharger, topping out at 670 horsepower. The aforementioned Trakpak kit takes things up a notch with a massive power offering of 750 horsepower for the Stage 1 offering and as much as 850 horsepower. Step away from Roush Performance and there are other programs available, too. Hennessey, for example, has its own smorgasbord of tuning kits available for the muscle car, ranging from 650 to 800 horsepower. European tuner Geiger Cars also dips into the supercharger well with its own kit for the pony car. It managed to get 820 horsepower and 560 pound-feet of torque out of it, thanks largely to a 2.9-liter supercharger, as well as the addition of a new crankshaft, forged pistons, steel connecting rods, a cold air intake system, and a stainless steel sports exhaust system. With all these components in place, the tuner was able to produce 820 horsepower and 560 pound-feet of twist for the Mustang GT. And while we’re at it, let’s take a look at what another German tuner, Schropp Tuning, managed to get out of its SF600R kit for the Mustang. 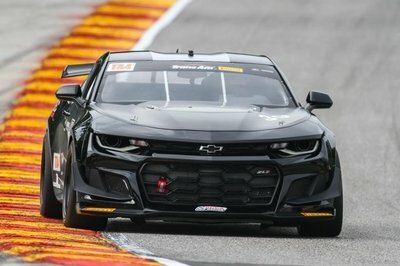 No superchargers were used here, but the kit does come with a new Coyote engine block with upgraded cylinder liners, race-grade low compression pistons that are connected to a steel billet crankshaft, a high-flow oil pump, a custom exhaust system with four branch manifolds, HJS 200-cell free flow sport catalytic converters. The result is an output of 807 horsepower and 700 pound-feet of torque. Check out the table below to see how these alternative engine upgrade programs compare to what Roush Performance was able to do with the P-51 Mustang. 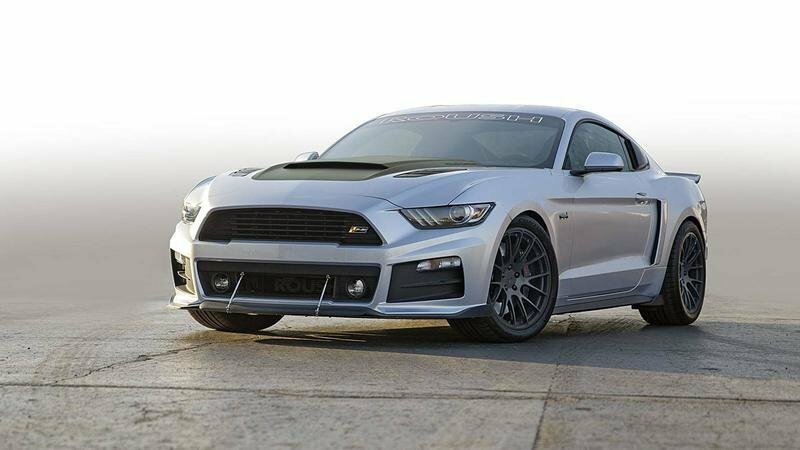 Since this is still the handiwork of Roush Performance, it comes as no surprise to know that the P-51 Mustang also includes Trakpak components, one of which is a three-way adjustable coilover suspension system that helps keep the car as pleasant to drive even with the addition of all that extra power from its Coyote V-8 engine. 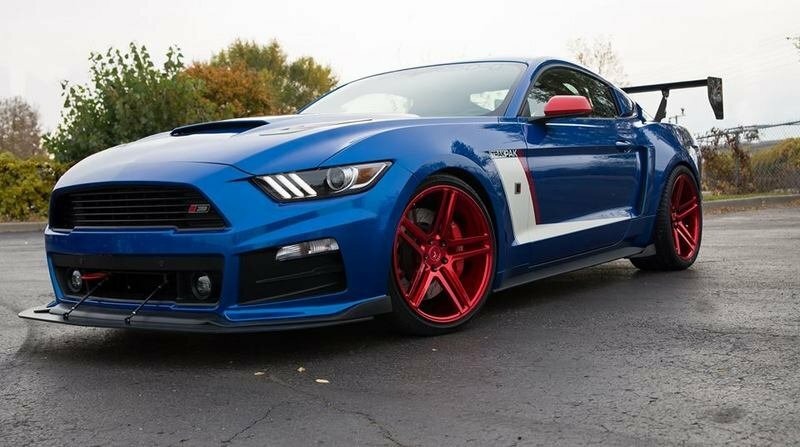 For all of the trouble that went into building this program even before bringing the Ford Mustang GT out for a drive, Roush Performance is asking $42,500 for the upgrades alone. Tack on the actual cost of a 2017 Ford Mustang GT, which starts at $33,195, and you’re looking at a total cost of $75,695 for the whole thing. The good news is that since the P-51 is a pre-titled Mustang GT, it actually comes with a three-year/36,000-mile warranty. The bad news is that availability of the program is extremely limited as Roush is only building 51 units of the muscle car in 2017. If somebody misses out on one, there may be a chance to get one next year, but that’s going to depend on how accommodating Roush Performance is. 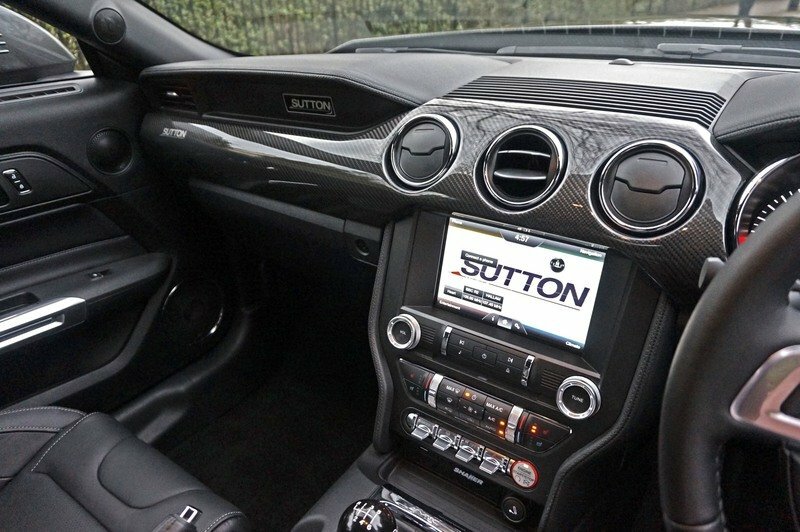 The CS800 program that Sutton Bespoke created for the Ford Mustang can be considered pre-titled in its own way since the upgrades are already in place by the time the tuner offers it to the public. It does quite well for itself too, thanks to the premium upgrades in the exterior and interior of the muscle car. The highlight though is the engine upgrade, which amounts to an output of 800 horsepower. 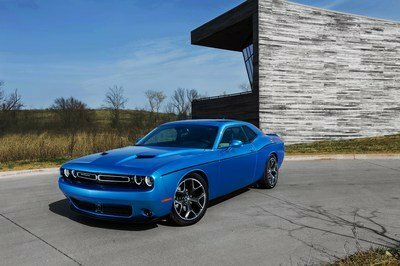 The British dealer was able to reach that number by dropping a Stage 2 Whipple supercharger, an upgraded intercooler, new injectors, and a larger throttle body into the muscle car. With all the upgrades in place, Sutton Bespoke is asking £64,950, or about $83,000 based on current exchange rates. This can be considered another pre-titled, aftermarket conversion. 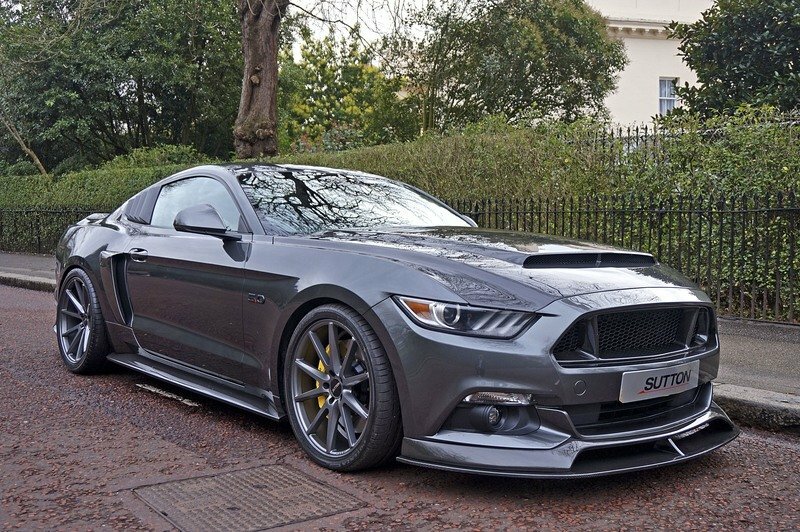 It certainly looks the part of a heavily modified Mustang because of the Ford GT inspiration behind it. 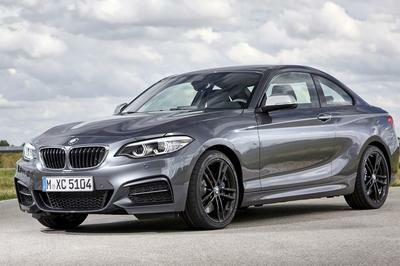 More to that, it also boasts power upgrades amounting to 800 horsepower. The only downside to this program is that some prospective customers may not take too kindly to Zero to 60 Designs’ aggressive alteration of the car’s appearance and its $125,000 asking price. If customers are looking for a tuner who knows his way around Ford Mustang, there are very few names that are on the level of Roush Performance. By sheer cache alone, the tuner is as good as it gets. Now as far as what the P-51 is all about, it’s admittedly not for everyone. But for those who have a fondness for history and aviation, the P-51 Mustang is a must-have to add to whatever collection they may have. The ROUSH P-51 is the most powerful American pre-titled car ever built. The P-51 is a culmination of Jack Roush’s personal passion for both aviation and performance vehicles. The P-51 Mustang is a celebration of these two passions. This is the most powerful muscle car on the planet! The 2017 ROUSH P-51 is powered by a 727-horsepower ROUSH Eaton TVS supercharged "Coyote" 5.0L V8 engine that comes coupled to a choice of 6-speed manual or automatic transmission. 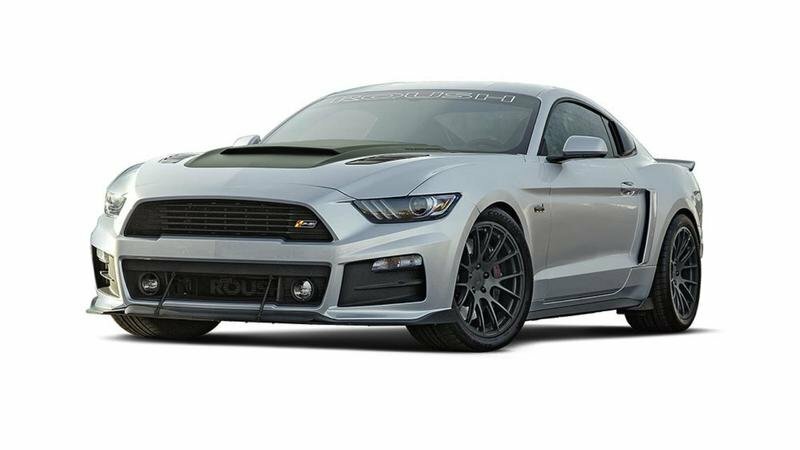 The ROUSH P-51 package features ROUSH TrakPak components including a 3-way adjustable coilover suspension and lightweight black forged wheels by Weld fitted with Continental ExtremeContact Sport tires (295/35ZR19). The manual transmission option also comes with PFC 2-piece rotors and updated friction pads. While there are "tuner" vehicles that have claimed greater horsepower, these vehicles are ’post-titled’ conversions. They are not available pre-title from a dealership with a full factory 3-year/36,000-mile warranty. In the cockpit, stunning custom P-51 Amaretto Tuscany leather seating matches the leather door inserts for Warbird-inspired styling, complemented by a P-51 gauge logo, red ROUSH shifter ball, ROUSH Performance pedals, and a P-51 interior plaque. 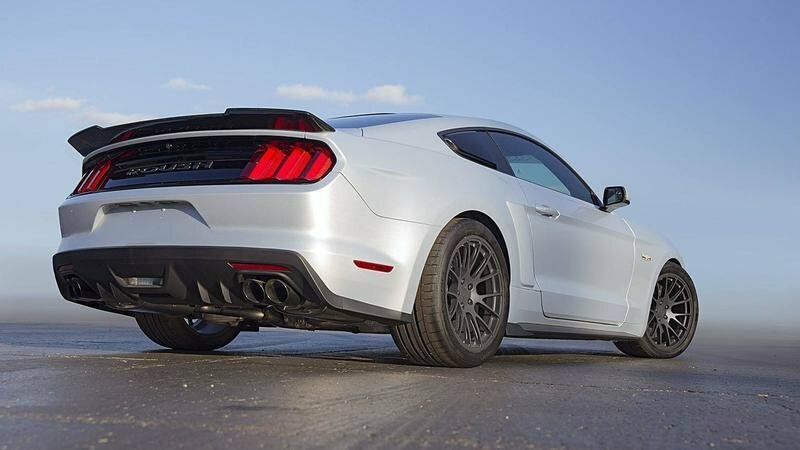 Exhaust flows through the innovative ROUSH Active Exhaust System to offer the user a choice between three distinct preloaded exhaust sound profiles, as well as a "Custom" setting that can be tuned with a mobile application for virtually endless exhaust sound possibilities. The system features black coated tips laser-etched with a custom logo. Only 51 2017 ROUSH P-51 Mustangs will be built, with a retail price of $42,500 above the price of the base 2017 Mustang GT.